We’re excited to hear that DigitalOcean uodated new droplet plans recently, and now the price-to-performance is a little better than Vultr and Linode. In my memory, this is the first time that DigitalOcean update its plans. Here is the list of new price and resources of DigitalOcean droplets. High CPU Plans, which were released six months ago, now have its new name Optimized Droplets. Optimized Droplets are powered by dedicated hyper-threads from best-in-class Broadwell and Skylake CPUs, but now come with additional memory and local SSD disk for the same price. Here is the updates. 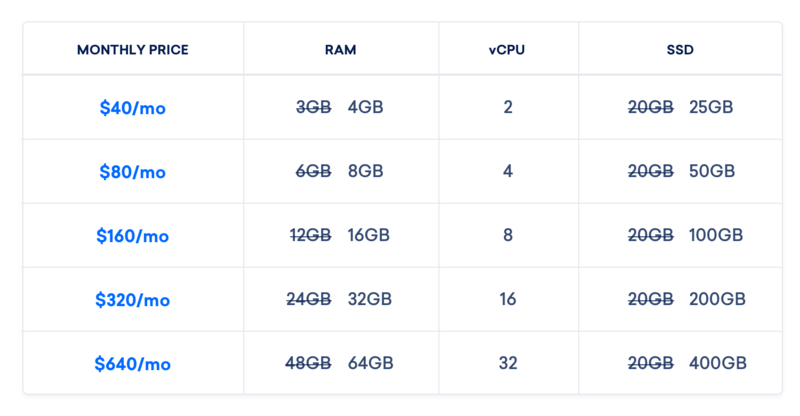 Over the past few years, we like to compare Digitalocean, Vultr and Linode between each other, because of DigitalOcean’s VPSs come with less memory, DigitalOcean is not as popular as the other two, but now, they all at the same level.